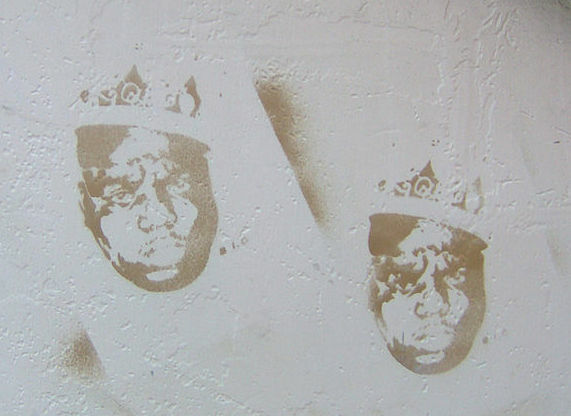 Editorial: How Long Until We Have a Notorious B.I.G Hologram? The music industry and the film industry both have a long and cynical history of profiting off people after their their untimely demise. James Dean won a posthumous Academy Award and was nominated for another. Tupac Amaru Shakur continued to sell new albums long after his death in September of 1996. Paul Walker has starred in 2 posthumous films, and just over a week ago Michael Jackson's estate released the SECOND posthumous album since his untimely death in 2009. The ethics of such posthumous profit are a never-ending source of controversy, and even fellow artists and actors find themselves falling on both sides of the debate. Many would argue that it's a form of immortality to not be scoffed at, to be recycled over and over again long after you're gone, and hope they are so sought after when their own time comes. Even if the profits of such immortality go to the family of the deceased it still feels unseemly though and a little bit nauseating. Sean 'Diddy' Combs was once accused of enjoying the fruits of the Christopher 'Notorious B.I.G.' Wallace's death because "dead stars sell records without the bothersome upkeep." There's no question that Combs lost one of his closest friends in the world, but dead or alive the sales of his albums continue to fill Bad Boy's coffers - and the companies who own the media rights to all the other aforementioned artists as well. The Michael Jackson hologram at the Billboard Music Awards puts this issue squarely back in the spotlight. It's not the first time we've seen this technology used to resurrect the dead though - in fact we learned from Coachella that hologram isn't an accurate definition of the technology used, but for simplicity's sake it beats saying "two dimensional images projected onto specially designed glass surfaces that fool your optical nerves." Even though Cathy Scott was talking about Wallace and Combs, there was probably never a more "expensive upkeep" for a media conglomerate than Michael Jackson. Even putting the numerous lawsuits filed against him aside, there was the carnival atmosphere of his Neverland Ranch, an array of personal employees to attend to his every need, and the elaborately cinematic music videos to accompany his hits. They are also part of the reason Jackson has life after death - the atmosphere of mystery and intrigue that swirled around him still beguiles and fascinates consumers today. The difference of course is that Jackson had 50 years to build up his legacy, while Shakur only had 25 and Wallace only had 24 - not even as long as MJ combined together. The Jackson hologram can be seen in any number of lights when viewed through a cynical lens, including that of being a cheap publicity stunt to promote "Xscape." It only serves to point out that there's no length that can't be gone to in the quest to make a buck, and the biggest difference between Jackson and the other two in this paragraph is that he's a more recent entry into the world of posthumous exploitation. We've been getting new albums from Biggie and 'Pac since the 1990's, but until Coachella we never had a hologram of either one. The times, they are a-changin'. Can there be any doubt that a Notorious B.I.G. hologram is next? So far there hasn't been a reason to do it. The amount of unreleased Wallace material is very limited compared to either of the other two, who were both incredibly prolific creators who by necessity culled their output down to what they felt was worth sharing. That's always been the downside of posthumous albums - they're made up of music the artists themselves may not have thought was up to their standards. There's no question it works, and there's some argument to be made it benefits their families and extends their legacies, but do "holograms" as opposed to albums cross the line? I included the film industry in my examination of posthumous profits because as the technology continues to evolve and improve, both dead actors AND dead rappers will be stars of the small and silver screen before long. We need to confront our comfort level with just how far this exploitation may go. It's only a matter of time before Biggie "performs" for us again.